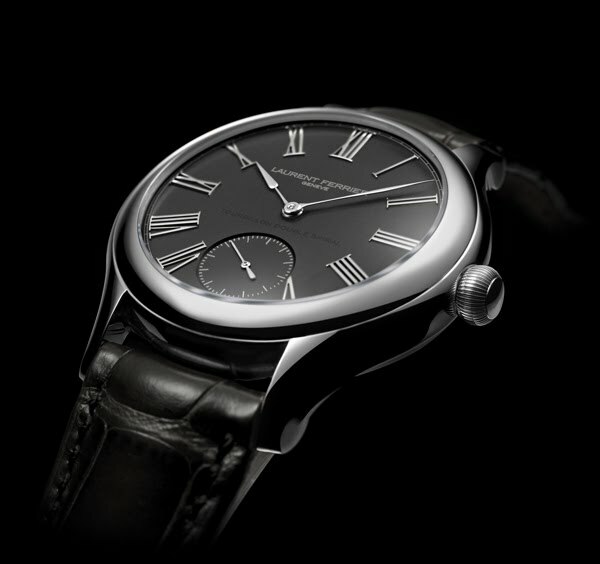 Increasingly elegant, the Galet Classic now puts on a tuxedo: a white gold 18k galet shaped case, a solid gold slate grey dial enhanced with applied white gold 18k roman numerals. Positively dashing! Yet always as precise in terms of chronometric performance, this famous tourbillon calibre with double spiral, conceived, assembled and decorated in Laurent Ferrier‘s very own workshop, powers this truly remarkable timepiece.